High speed rail (HSR) is being touted as a strategic investment for connecting people across regions, while also fostering prosperity and smart urban growth. However, as its popularity increases, its implementation has become contentious with various parties contesting the validity of socioeconomic and environmental objectives put forward as justification for investment. 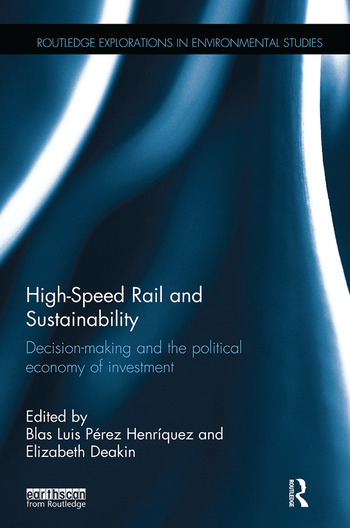 Section I – What have we learned so far from high-speed rail systems around the world? Section II - California’s Bold HSR Adventure: Transforming Transport Culture in America? Blas Luis Pérez Henriquez is the Founding Director of the California - Global Energy, Water & Infrastructure Innovation Initiative, Stanford University, USA. Elizabeth Deakin is Professor Emerita of City and Regional Planning at the University of California, Berkeley, USA.